Will Regal search your bag at the movies this weekend? 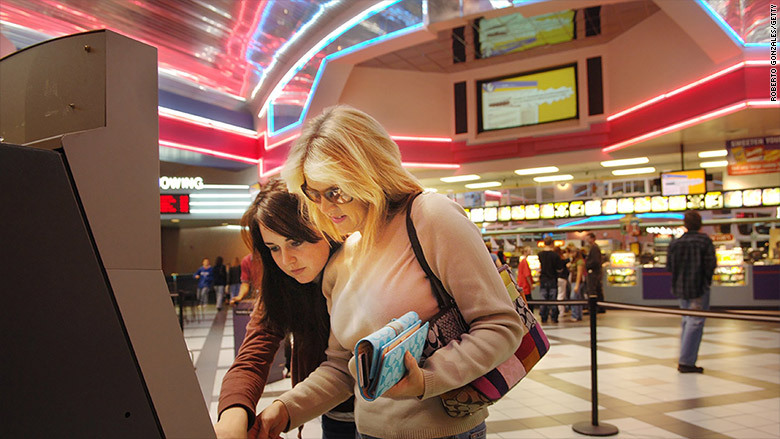 Regal Cinemas has over 550 theaters across the country. Movie fans going to the theater this weekend may be greeted by laminated signs warning that their bags will be "subject" to searches before they can enter. Those signs have been getting posted in recent days to the entrances of Regal Cinemas, one of the country's largest theaters chains. But does that mean that the company is inspecting all the bags of patrons who enter its hundreds of theaters? The answer is unclear. Local news outlets have reported stepped up security at some Regal Cinemas across the country, indicating that at least some bags are being searched. Regal has had a bag check policy on its website as far back as September 2012, according to the internet archive site Wayback Machine. The change in the chain's fine print about "Admittance Procedures" was quietly updated by Regal. It's not known when the policy was modified. 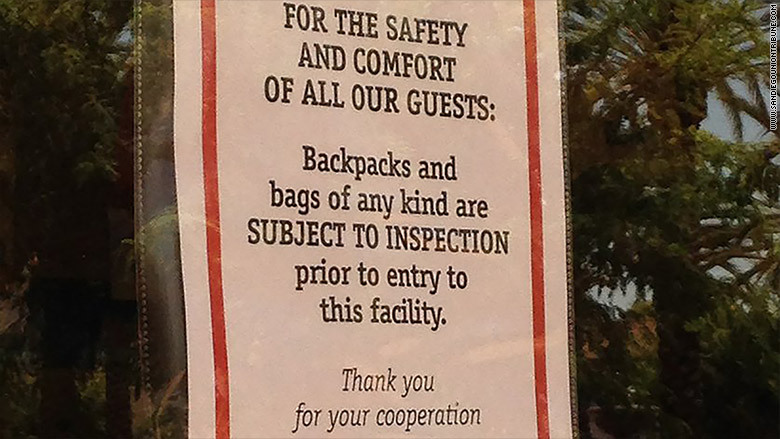 The old policy read, "To ensure the safety of our guests and employees, Regal Entertainment Group reserves the right to inspect the contents of any backpack, package, or bag prior to admission." This language now reads, "To ensure the safety of our guests and employees, backpacks and bags of any kind are subject to inspection prior to admission." The theater's updated policy goes on to state that it acknowledges that the "procedure can cause some inconvenience and that it is not without flaws, but hope these are minor in comparison to increased safety." Laminated signs in Regal theaters warn that bags may be searched. Regal hasn't commented publicly on the modified bag inspection policy and has failed to respond to numerous requests for comment from CNNMoney. The change comes as movie theaters have been rocked by a pair of attacks this summer, a shooting at a movie theater in Lafayette, Louisiana, that killed two women, and another where an armed man was killed by police at a theater in Tennessee. In addition, the trial of James Holmes, who shot up a Colorado movie theater during the midnight showing of "The Dark Knight Rises," reached a verdict of life in prison this summer. Twelve people died in that attack. It is not clear if other theater chains will increase security. AMC, another of the country's major movie theater chains, said that it does not comment on its security measures, and the National Association of Theater Owners did not respond for comment by the publication of this story. The altered policy has led some patrons to vent on social media that the company would use the new policy to check for outside snacks and food, according to the Los Angeles Times. Regal Entertainment Group runs 569 theaters in 42 states that represent more than 7,300 film screens, according to its website.